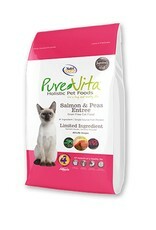 PureVita™ Brand Grain Free Salmon & Peas Entrée food for cats combines the delicious taste of chicken with a variety of nutritious fruits and vegetables. And because it is made by NutriSource®, you can be sure it has our exclusive "Good 4 Life" system and the finest quality ingredients available for your cat or kitten. 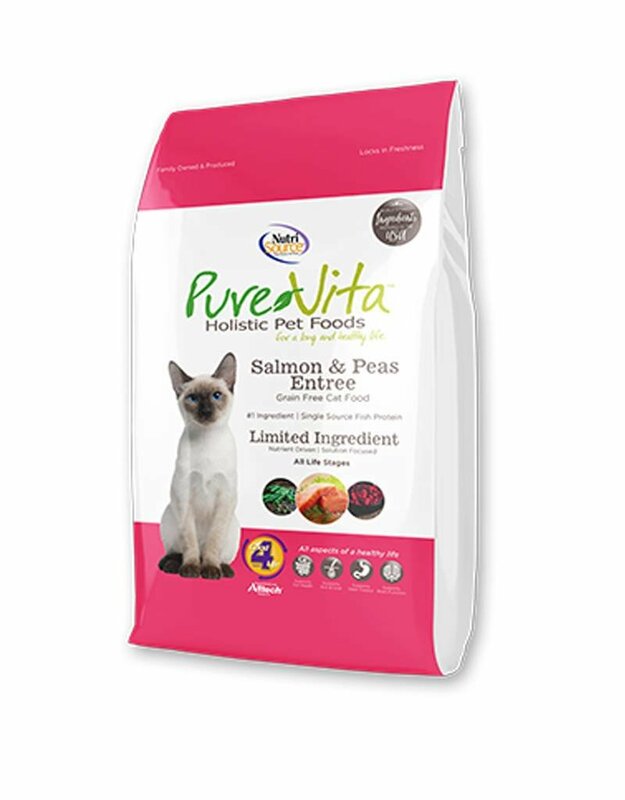 Pure Vita™ Salmon & Peas Entrée Grain Free Cat Food is formulated to meet the nutritional levels established by the Association of American Feed Control Officials (AAFCO) Cat Food Nutrient Profiles for all life stages. For a full nutrition profile of this product, visit Pure Vita’s website.